The European Commission’s flagship policy to transform the archaic CEE natural gas markets saw a wave of billion dollar gas infrastructure projects meant to integrate the market and increase competitiveness and transparency - arguably a good thing for both producers and consumers. In this more liquid market (with a 20 percent increase of gas traded in competitive gas hubs from 2015- 2017), CEE nations have already attracted a diverse range of suppliers, including U.S. Liquefied Natural Gas. In essence, this drives CEE prices closer to Western European hubs and, as a result, big suppliers like Russia will not be able to dictate prices anymore. Yet, the gas revolution in Central and Eastern Europe faces some challenges; the track record of market liberalization and compliance with EU regulations is poor; the role of gas in power generation is low; and coal power plants operate in a favorable environment despite the deteriorating air quality in many cities across Eastern Europe. Indeed, completion of breakthrough projects such as the Swinoujscie LNG Terminal (180 bcf/year) in Poland, the Klaipeda FRSU (140 bcf/year) in Lithuania, the Finland- Estonia Interconnector (7.2 million m3/ day) and the bi-directional Poland-Lithuania Interconnector (8.4 million m3/ day) have increased gas flows through the CEE grid and decreased the price gap with Western European hubs. Austria’s Central Eastern Gas Hub has effectively connected countries like the Czech Republic, Slovakia and Poland to the Western European grid, offering them fair market prices and, as a matter of fact, today’s price indexes in those countries are already converging with German hubs. The correlation between the Central European Gas Hub and Germany’s NCG have been steadily rising since 2008 to reach an almost 97 percent correlation in 2017. 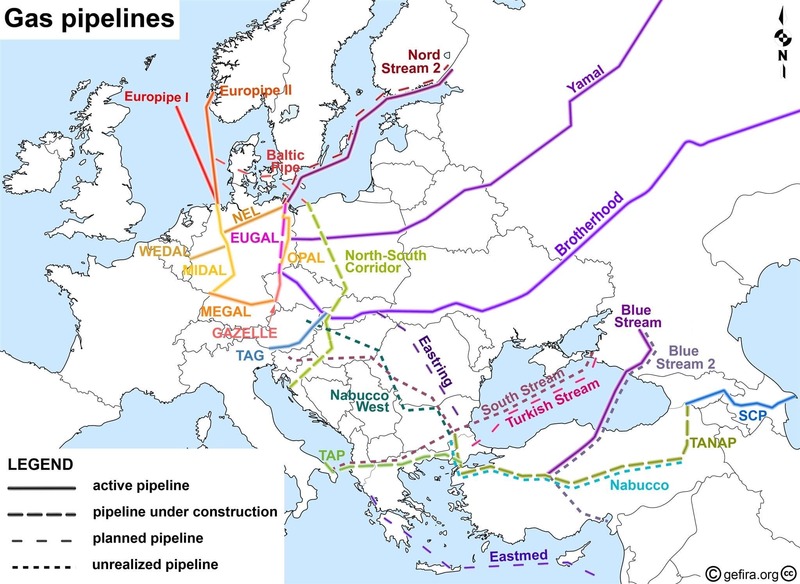 This trend is expected to continue as more projects like the Central European Gas Pipeline (connecting Bulgaria, Romania, Hungary and Austria) or the Kirk LNG terminal in Croatia could come online. All of these stand to further benefit consumers in Central and Eastern Europe as new infrastructure increases competition between Russian, Norwegian and U.S. (liquefied) natural gas. In theory, increased competition and trade should encourage individual markets to liberalize and open up further. Yet, this has not been the case for Central and Eastern Europe. While CEE governments benefited from the EU funded infrastructure expansion, they placed gas market liberalization reforms on the back burner. In fact, there’s some resistance to the reforms, because they are believed to undermine the long-held monopolistic positions of the regional energy companies. 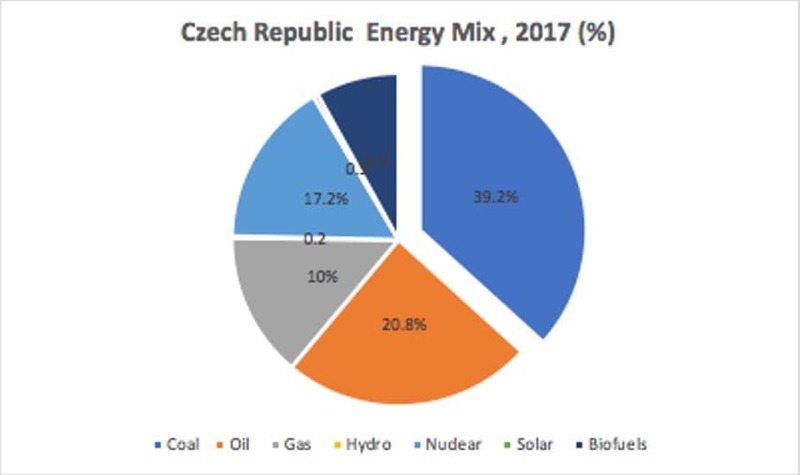 For instance, in the Czech Republic, the largest power company has a 78 percent market share in the national electricity market and the largest gas importing company operates with a comfortable margin of 82.3 percent. PGNiG – the Polish state controlled oil and gas company, remains the dominant buyer on both the wholesale and retail market, next to this, it owns and operates all of the natural gas production and distribution networks. These local “power houses” welcome imported U.S. LNG as long as it displaces Gazprom’s supply monopoly. The same companies, however, are resisting the reforms as they see their longstanding privileged position threatened by international competitors. The lack of political appetite from CEE governments to tackle these problems has defined the provisions of The European Union’s legislature, better known as Third Energy Package, which was adopted by the European Parliament in 2009. The package mandates the unbundling of incumbent firms, allows third parties access to infrastructure and greater regulatory market oversight. While Western Europeans take advantage of increased transparency and competition in the energy market, most industrial and residential consumers across Central and Eastern Europe still cannot choose their gas and power suppliers. This matters because corruption and incumbency in the energy sector are still big problems for many Central and Eastern European countries. Albeit to various degrees, almost all 15 CEE countries inherited a highly regulated and bureaucratized energy sector. To truly embrace gas market reforms and restructuring, governments need to up their ambition, political will and their accountability. The result will be a better integrated market with the neighboring Western Europe. Related: What Will Trigger The Next Oil Price Crash? The divide between “old” and “new” EU members is not only noticeable in terms of energy security and market performance, but also in the composition of the energy mix itself, which further complicates integration of the CEE into the common European energy market. Despite deteriorating air quality, Central and Eastern European nations continue to burn large amounts of coal. While Western Europe’s coal consumption has been dwindling, Eastern Europe has failed to significantly reduce its own consumption. (Graph 3 & 4). Coal’s dominance is not just about favorable economics, it’s also supported by a positive cultural attitude towards the industry. A recent study by the Poland Public Opinion Research Center (CBOS) found that miners in Poland are respected at higher levels than medical doctors or teachers; 84 percent compared to 74 percent and 71 percent respectively. 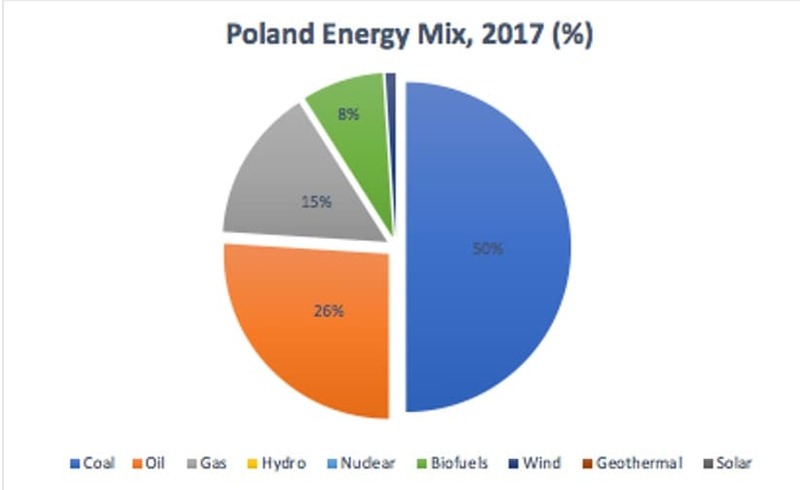 Falling far behind the EU schedule for installing renewable capacity in its energy mix, Poland estimates that even by 2050 coal will maintain 50 percent of the market share in the nation’s energy consumption. Without government led initiatives to restructure the archaic energy markets that mostly rely on outdated and aging technology, the CEE region will lock itself out of innovative private sector investments. There are many reasons why the gas revolution in Central and Eastern Europe is advancing slowly. On one hand, considerable progress has been made both in terms of conceptual thinking about integrating CEE into the common European energy market and in terms of actual implementation of key gas infrastructure projects. On the other, irrational psychology of insecurity centered around protecting local monopolies and domestic coal industries has begun to overtake the rational market and policy debate in this part of Europe. For a genuine revolution to take place, there must be the political will to get the process off the ground; there must be commercial appetite to want to succeed in a trading environment; and shifts in cultural attitude for all those changes to be implemented. Central and Eastern European nations have yet to meet these requirements. "liberalization" means converting the market to on controlled by futures traders. In this system producers are ordered around and the cash flows to the traders.